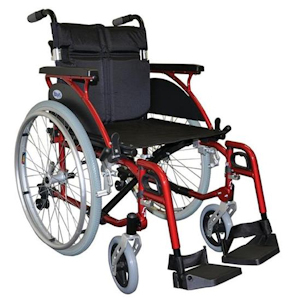 With an ultra lightweight aluminium frame, which easily folds and dismantles without any tools, the SW1 wheelchair is perfect for occasional use. 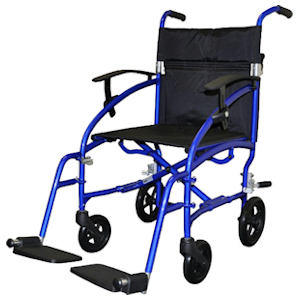 Designed for days in or out, it’s ideal for taking on trips, leaving at relatives’ homes, or even storing in the cupboard so it’s there in case you need it. The compact design of the SW1 makes it very easy to use indoors, making light work of tight turns such as those commonly found in cafes and shops. When folded, the SW1 takes up very little room. 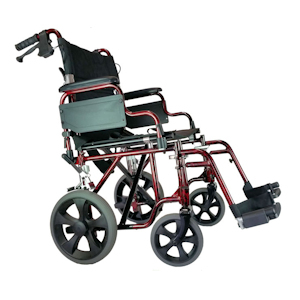 The SW1 is a combination of comfort and practicality. 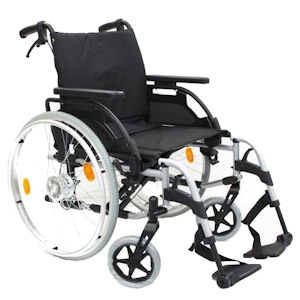 With a choice of two seat widths and padded upholstery as standard, it provides all the basic comfort necessities. The SW1 also has robust puncture-proof tyres to ensure simple maintenance and peace of mind when you’re out and about.